Hi everyone, it’s Kim with Get Away Today, here to talk about The Happiest Place on Earth. 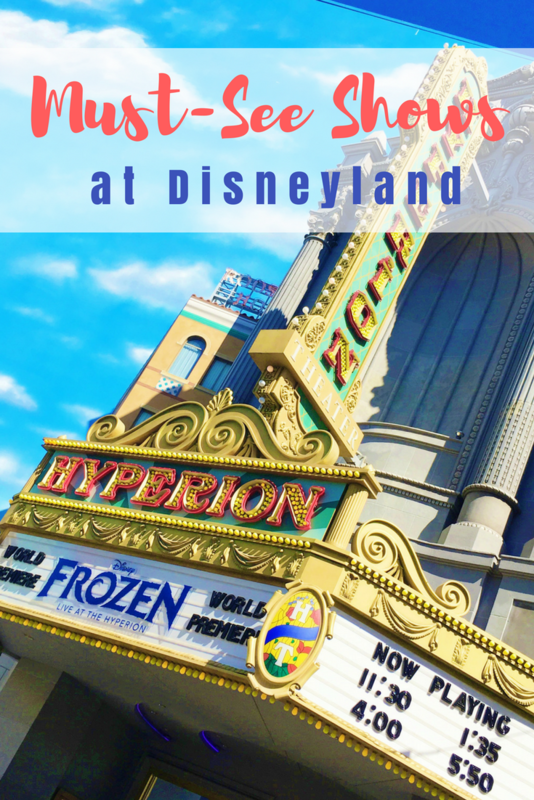 However instead of talking about our favorite attractions or the delectable treats, today we’ll be talking about must-see shows at Disneyland. And when I say Disneyland, I mean the entire Disneyland Resort, which includes both Disneyland Park and Disney California Adventure Park. 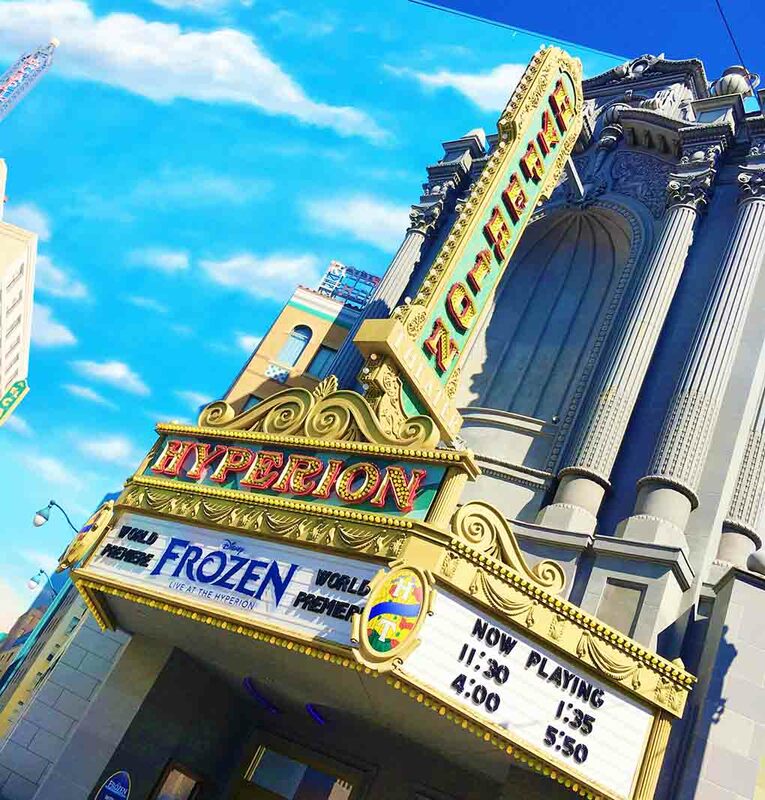 If you haven’t had time to stop and see Frozen Live at the Hyperion Theater, then you’re missing out. This Broadway-caliber production is filled with magical costumes, show-stopping performances and incredible sets that make you fall in love with Frozen all over again. This show stays true to the original story of Anna and Elsa, but also takes a unique view on the story to make the show about an hour long. If you’re looking to take a longer break from attractions or just simply see your favorite snowman onstage, this is the perfect spot to go. Frozen Live is a show you won’t want to “let go” of! The Enchanted Tiki Room is one of Disneyland’s greatest treasures, so if you haven’t been, make it a priority to go next time you’re there. Here, you’ll be able to sing along with a variety of exotic birds, flowers and tikis to give you a piece of magic from the Pacific Islands. The best part? You can indulge in a delicious Dole Whip while you take part in all of the fun! Since this show was created by Walt Disney himself in 1963, you get to experience that special touch of Disney magic while you’re there. “The Tiki, Tiki, Tiki Room” will keep you singing and laughing all day, which makes it one of the must-see shows at the Disneyland Resort. If you didn’t know, Fantasmic! recently underwent a magical makeover and is now bigger and better than ever before. Along with classic scenes that we all know and love, they’ve added two new sections to highlight songs such as “Friend Like Me” and “A Whole New World” from Disney’s Aladdin. Additonally, you’ll be able to see Captain Jack Sparrow and his swashbuckling crew duel and perform on an eerie pirate ship. Probably the most jaw-dropping change are the three new mist screens that Disney films are projected onto. These screens are a whopping 60 feet wide and 30 feet tall, so you don’t ever have to worry about having a bad view. However, if you want to have the best viewing experience, I would still recommend getting FastPasses as early as you can. You can find the Fanstasmic! FastPass distribution area near the entrance of the Mark Twain Riverboat. Or, better yet, get a dining package with preferred viewing. If you purchase the Blue Bayou dining package, you even get a seat cushion to use for the night. 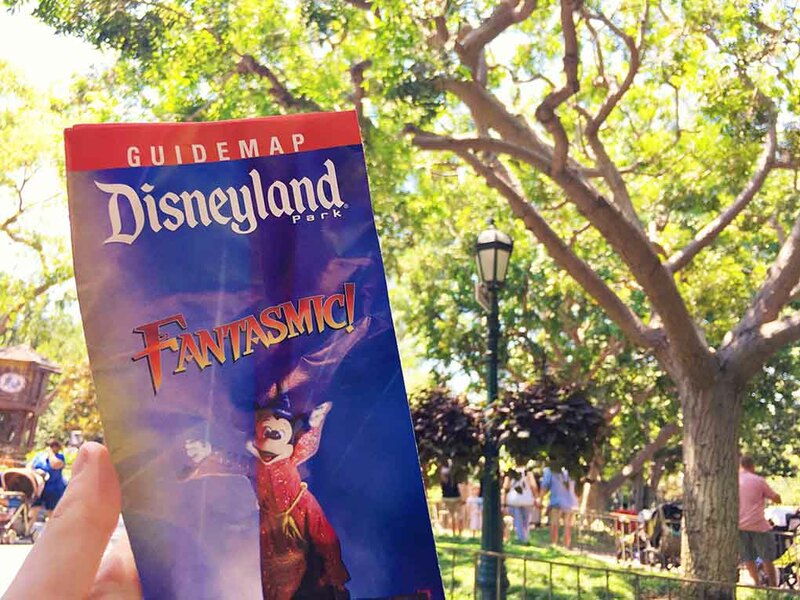 Whether you’ve been a fan of this show since the beginning or have never seen it, Fantasmic! is one of the must-see shows at Disneyland. If you have a youngling, you’ll want to be sure to check out Jedi Training: Trials of the Temple. Located at the Tomorrowland Terrace, your Jedi Knight will be able to train in the ways of the force. However, they’ll have to have their skills tested when they come face-to-face with the ultimate villains, Kylo-Ren or Darth Vader. To participate, you’ll need to register at the kiosk located outside of the Star Wars Launch Bay. Since registration is on a first-come, first-served basis, you’ll want to try and register as soon as the park opens. It’s important to be aware that this training is only open to apprentices ages 4-12. Even if your kids aren’t part of the show, they’ll love watching the show. Jedi Training: Trials of the Temple is an out of this world experience for your young Padawan, so don’t miss it! If you’re looking for a cute show to watch that isn’t too long, you’ll want to be sure to see Mickey and the Magical Map. This show is only 22 minutes long and features some of your favorite Disney characters like King Louie, Pocahontas, Mulan, Tiana, Rapunzel and Flynn Rider. It’s pretty cool, because it’s one of the only places at Disneyland you can see these hard to find characters. The Fantasy Theatre is also the perfect place to cool down on hot California days and give yourself a break. Speaking of little ones, the Disney Jr. Dance Party is the perfect show for little kids. 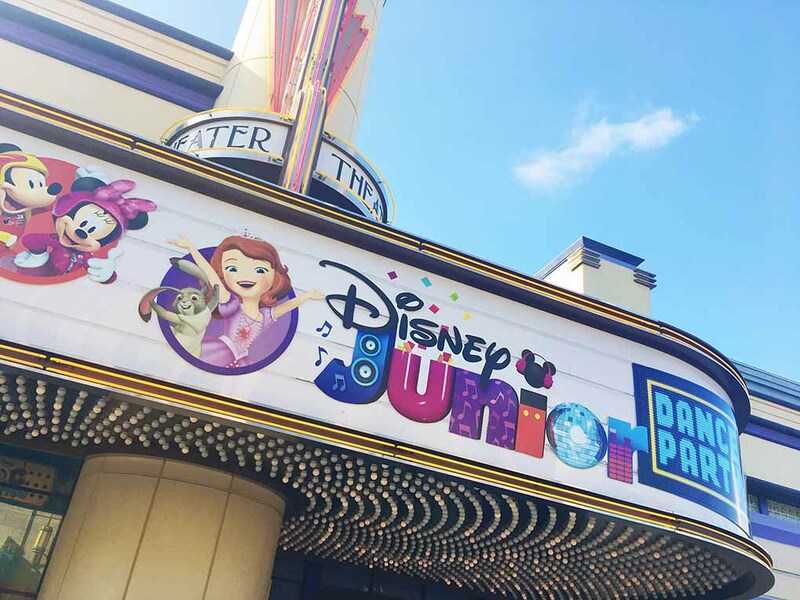 At the end of Buena Vista Street, you can party with Sofia the First, Doc McStuffins, Timon and more! Here, you’ll be able to sing and dance to some familiar songs from your favorite Disney Junior shows. Plus, you’ll be able to see Mickey and the Roadster Races drive in from Hot Dog Hills. The best part? With so much dancing and singing, this is the perfect way to drain some energy from your kiddos. If you happen to be traveling during a special celebration, like Pixar Fest, Halloween Time or Holidays at the Disneyland Resort, you should know that there are even more entertainment options. 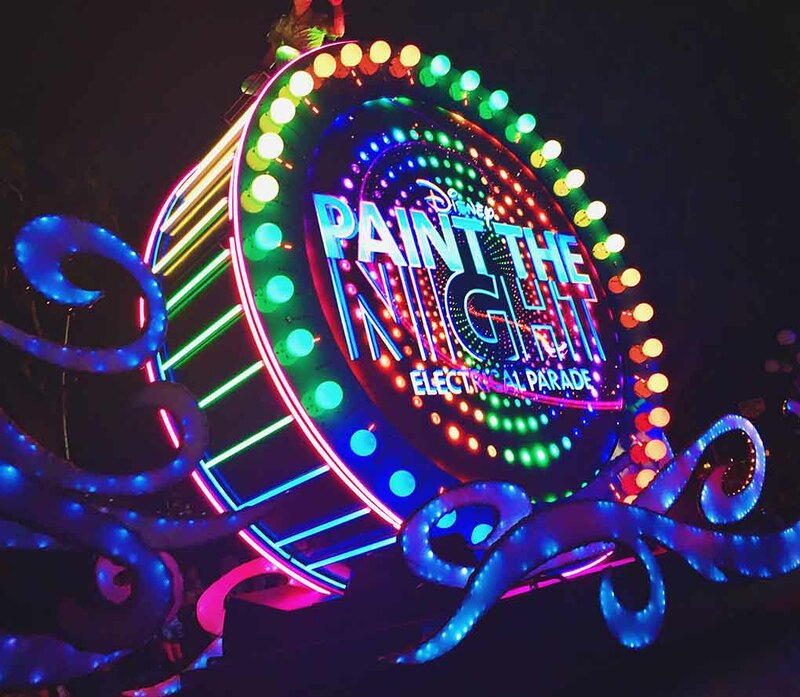 If you’re going during Pixar Fest, (April 13 – September 3, 2018) you won’t want to miss the return of the Paint the Night Parade, this time in California Adventure You also will want to be sure to watch the all-new fireworks show and the updated Pixar Play Parade at Disneyland. Halloween Time and Holidays at the Disneyland Resort also bring exclusive entertainment including parades, shows and fireworks. This includes seasonal variations of World of Color, my personal favorite nighttime show. Although World of Color typically plays year-round, it is closing when Pixar Fest opens and no re-open date has been announced yet. 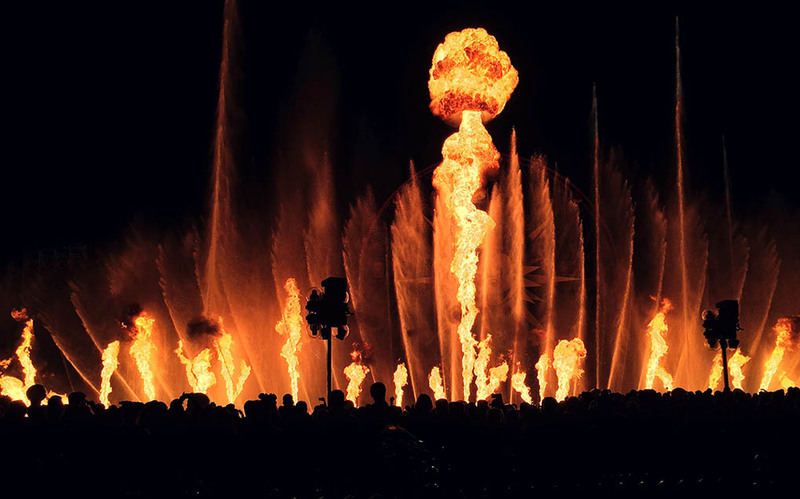 If World of Color in any form is playing while you are at Disneyland, don’t miss it! As you can see, the entertainment at the Disneyland Resort makes the Happiest Place on Earth even happier. If you’re wanting to visit sooner than later, give our travel experts at Get Away Today a call at 855-GET-AWAY or visit getawaytoday.com. No matter what way you decide to book, make sure you use promo code CraftingChicks to save an extra $10 off your hotel and tickets Disneyland vacation package.